Qolo enables aged-care residents to take control of their lifestyle and interactions. 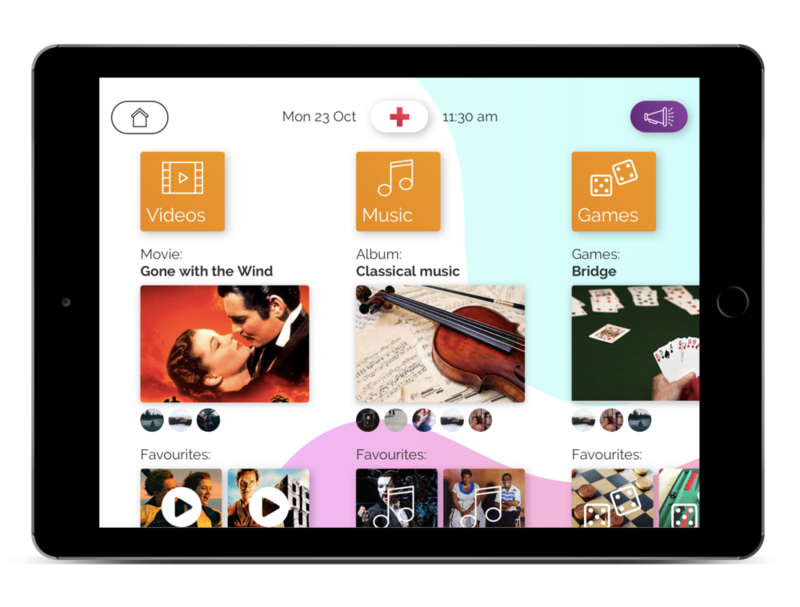 With Qolo, residents stay connected with their family, manage their own entertainment, overcome language and disability communication barriers and manage their schedule. Our intuitive app removes the barriers for residents to use social, entertainment, communication and online services. Communicating with patients is simpler with our language translation and digital cue cards allowing you to always know what they need. We've digitised the compliance forms reducing errors and double-handling of tasks with all data securely stored for 7 years. Qolo empowers residents to use the modern services that we take for granted. The platform offers an easy to understand experience, allowing for a wide range of capability in the aged-care community. quick access to cue cards gets the right result. Never miss those important family moments, check in on a loved one or revisit a fond memory. Rich-media streams from family and friends without the need to manage social-media accounts. Our auto-curated media centre offers a wide selection of movies, tv shows, music, entertainment channels and games. Stay in touch with loved-ones using simple one-touch video calls and messaging. When communicating across languages is hard use our text and speech translation facilities. See upcoming meals, activities and family events and receive alerts and reminders. ...living an inspirational life means being able to inspire the next generation!